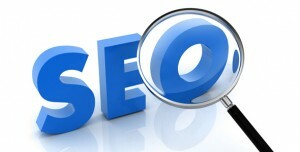 Finding keywords for SEO (search engine optimization) in your business is crucial. Learning how to find the right keywords takes some time and effort. I have been able to grow my business exponentially over these past few years through the use of keywords. Using the right keywords on the Internet will help you to grow your business, but learning exactly what those are and how to use them can be a challenge. First of all, what are keywords? Keywords are the words and phrases we all use when we are searching for something we need. When you go to Google or Bing or Amazon, or any other search engine, you type in the words that best describe what you’re looking for on that day. For example, when I have friends over and we want to have a pizza, one of us will typically Google ‘pizza delivery in santa monica’. But how can this make a difference in your business? When you set up a site for your business, whether it’s a traditional website or WordPress site, use your keywords in the domain name (such as HandymanSantaMonica.com), in the site’s header, and in the titles and subtitles found throughout your site. I won’t confuse my explanation here by using HTML (hyper text markup language) references, but suffice it to say that you must use your keywords on every page, in a natural and flowing manner. Overusing them is referred to as ‘keyword stuffing’ and will not be tolerated by the search engines. If your business is a brick and mortar one, start out by using the name of your city and your industry, such as ‘Santa Monica pet grooming’ or ‘auto body shop in santa monica’. That’s the first level of keywords. Next, use phrases that describe more specifically what you have to offer, such as ‘grooming toy breeds santa monica’ or ‘smog emission testing santa monica’. If you aren’t certain which keywords might be best for your particular business, take a look at your competitor’s websites to see which keyword phrases they are using. This can easily be accomplished by visiting their website, right-clicking to go to ‘view page source’, and then reading through the HTML code to see their keyword description, titles, and meta tags. By doing this with the example above, you may find something you had not previously thought of, such as ‘window tinting santa monica’ or ‘dog show styles and cuts santa monica’. The use of keyword phrases in your business is an art, not a science. This means that you must take some time to experiment with what works best in your industry. Start by making a list of everything your business has to offer. Also, list the zip codes you serve, as many people use that as their search criteria, instead of the city name, when they need to find someone to help them. The last thing I will discuss here is what is referred to as a ‘long tail keyword’. These are keyword phrases that consist of five words or more and are extremely specific to what the person is looking for. If someone uses a long tail phrase they are most likely ready to make a purchase. An example of this would be if someone went to Google and typed in ‘need to repair broken windshield in santa monica’ or ‘who does the best dog grooming for yorkshire terriers’. Questions are very common when it comes to long tail searches. Also, someone may not use a city or community location name at all when typing in their search, such as if they put ‘file an irs tax extension for my small business’. If you are a CPA, this search could be perfect for your business. I recommend that you learn as much as you can about keywords, and see how beneficial they can be for growing your business with the right clients for what you have to offer. This entry was posted in Online Marketing Tips on April 23, 2013 by Connie Ragen Green.